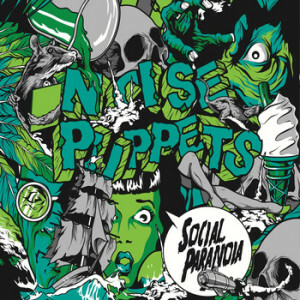 Anyhow, what’s all that have to do with the Noise Puppets, another electronic music project from Australia? Absolutely nothing, except for the fact that an article reviewing weird music demands a bizarre intro if it is to reach it’s targeted demographic. As for the Noise Puppets, they(I say ‘they’ because it is somewhat ambiguous as to how many are involved or whom they are, and I think they like it that way) describe their music as “weirdo dance music from down under,” and I have to say it lives up to that description. What I noticed pretty quickly while listening to Noise Puppets’ debut album “Social Paranoia” is the diversity of styles within individual songs. It’s not uncommon for a song to completely change direction midway through. For example, the 5th track “A Matter Of Time” starts off with an almost tribal feel to it. If you listen creatively, you can hear imaginary voodoo chanting in the background as you picture a death scene from the Bond Film, “Live and Let Die“. However, shortly after that, the song morphs into spacey sci-fi “the super computer is about to attack it’s human creator” mode. The tracks all maintain this level of unpredictability, which keeps the listener engaged. When a song clocks in at 7:00 minutes plus, nobody will listen to the whole thing if they think it’s going to be the same loop the entire time. The opening track, “Let’s Go F*cking Mental” opens similarly to the Brian Jonestown Massacre song of the same name. Beyond the opening though, they are not even remotely similar. It’s a solid way to kick of the album, with plenty of energy that sets the mood for some creepin’ on the dance floor. If I had to describe the difference in tonality between Subterralien and Noise Puppets, I would say that though they utilize many of the same synthy sounds and patterns, Noise Puppets’ music has a slightly more tribal or groovy feel to it. My favorite song on the album is “Midi Evil,” a catchy tune that seems to be the most melodic of the bunch. Noise Puppets also get bonus points for coming up with cleverly abstract titles that somehow manage to accurately convey the character of each individual song. You can(and should) purchase Social Paranoia here. I know what you’re thinking, but this isn’t another article about illegal aliens tunneling underground to get to their day labor jobs or a paranoid warning of a surprise Chinese invasion such as the one depicted in the 1967 classic, “Battle Beneath The Earth.” Perhaps less controversial(but equally as creative,)I’m actually talking about an electronic music artist from Australia, who goes by the name “Subterralien” and is currently signed to Face Melt Limited. 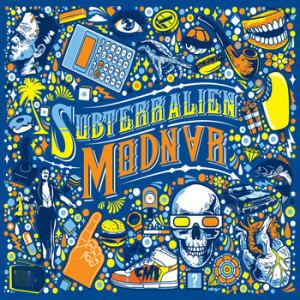 The best way for me to describe Subterralien’s album would be “retro futuristic.” In the same way that the dystopian films of the late 70′s depicted a future that once seemed way ahead of where we actually ended up(but not so much now,) “Modnar” is still slightly ahead of it’s time musically, mostly due to the fact that mainstream pop music has taken us so far intellectually backward. Do the world a favor, buy this album. 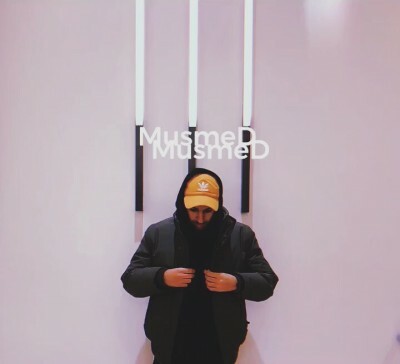 Support melodic music that is interesting, that you can dance to, and that won’t shave points off your IQ in the process.